Snowflakes Are Kisses From Heaven?! It seems like snow is endless this year. We already have heaps and heaps and every (other) day there comes more. This week alone, I twice had to drive to work in the snow and it took me ridiculously long. So, if you asked me: I had enough of snow for this season. Now we have tons of snow and beginning tomorrow temperatures are going to fall. At least, Hafl is enjoying the time with his friends in the fields. You would never guess that he does not move at all when he is alone when you see him jumping around like a gumball when he is with his BFF. 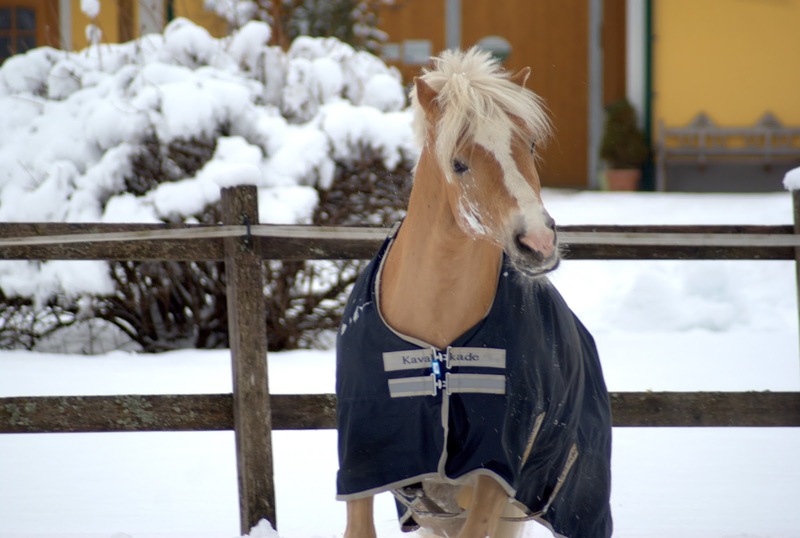 We felt the urge for some snow hacks lately - canter training in the snow definitely makes sense but we are good now...thanks, snow, you can go home now and make space for spring!